It’s been a month since kjwx’s ‘Get in the Ring’ poll on the (then) proposed Opencaching.com website. Since that time the site has released a beta version and now boasts over 5000 caches. A number of bugs in the first few days seem to be ironed out a little and there has been much debate over who is using the site and especially who is importing their geocaching.com caches. Both sites have cool cartoon mascots; Geocaching.com have Signal the Frog and Opencaching.com have Opie. Which do you prefer? Opencaching.com has a simple and easy way to upload your existing Geocaching.com caches. Opencaching.com doesn’t have any reviewers and some have expressed concern over what this means for the integrity of Geocaching. 91.25% of the Get in the Ring survey respondents were Garmin users. Opencaching.com has become a recent alternative to Geocaching.com and it looks like the US may soon have their own competition as China are progressing with plans for their own independent satellite navigation and positioning network. They have launched the 7th satellite of the Beidou (Compass System) network that will eventually have 30 satellites. 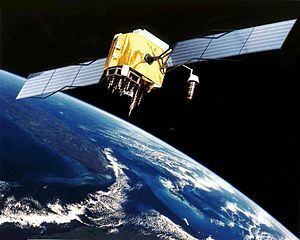 China started building its own satellite navigation system to end its dependence upon the US GPS system in 2000, when it sent two orbiters as a double-satellite experimental positioning system. Beidou, as the system is called, is designed to provide navigation, time and short message services in the Asia and Pacific region before 2012 and will be capable of providing global navigation services by 2020. This could be a hugely significant development for the GPS market if China open up their network for use by the entire world. Assuming they do and the system is roughly as good as the US GPS system then 2020 could see a flood of cheap China produced Beidou units released into the GPS market. This must be an alarming prospect for the major manufacturers as the current smart phone craze is eating into their sales. Of course the business world, just like the rest of it, is a case of adapt or die. Wouldn’t it be cool to be geocaching and be able to switch between satellite networks in the same GPSr? And think of all the new puzzle caches that could be created! Having plundered all the local caches and not being in a position to travel far from home due to Cumbyrocks clone #3’s imminent arrival I haven’t been out much. My recent acquisition of an Apple iPad has been a good distraction from the geocaching withdrawals I face daily and one of the best distractions is the game Angry Birds. 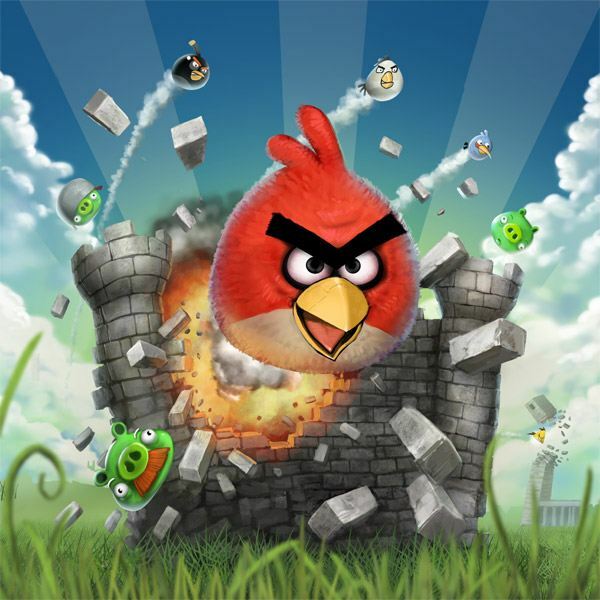 The game essentially has you firing angry birds at the pigs (literally) who stole their eggs. It’s a fun game that is worth trying out. Just a few days ago Garmin launched a brand new website that is basically their attempt at controlling our hobby. That’s right, they’re trying to hijack the official Geocaching website and control the market in order to sell more GPS units! If you haven’t noticed, I’m a little ticked off about this and I would love to hear your thoughts. Do you have similar feelings about it or are you fine with it? Please leave a comment below the post. I love reading your thoughts and conversing with all of my Geocaching friends. And if you’re on Facebook and/or Twitter, let’s connect! It seems “The Mad Cacher” is quite, well, mad about Garmin introducing Opencaching.com and is rallying the troops to boycott opencaching.com. Whilst I have been a little sceptical about the introduction of opencaching.com I’m not sure they deserve such an extreme reaction and a call to boycott. Geocachers will vote with their feet and I don’t see Garmin as producing something so evil that it requires organised destruction. But kudos to “The Mad Cacher” for being passionate about his cause. Firennice over at Caching and Reviewing has given a nice run down of some upcoming changes to the geocaching.com website, including some good screenshots. Stats – A new page on your profile for geocaching.com generated stats. Cachemania has posted about Groundspeak aquiring My Geocaching Profile for this. Maps – possibly the best proposed change is the increased functionality of the maps. At present they are clunky and slow but the changes will produce smooth and dynamic mapping that has no 500 cache limit. The screenshot showing the whole USA is very very cool. Favourites (or as it will appear on the site – Favorites) – This is another huge addition to the site and a long-awaited and desired change by many cachers. Based on the number of finds you have you will be able to award favourite points to caches you like. This will be extremely useful for figuring out which caches are the best to go for, especially when travelling – no more wasting time on 200ml snaplock containers listed as regular sized caches! Premium Members – Many of the changes, for example the favourite points, will only be available to premium members. This is going to be a big attraction to cachers to maintain premium membership and keep access to all this resource. The changes were planned prior to the introduction of Opencaching.com but they are certainly timely. I believe they will be big draw card for cachers and may be welcomed by some of the disgruntled ones. Groundspeak have added value to the premium membership – a good thing as it had previously seemed like being a premium member was only to get access to pocket queries. The fine folk at the NZ Recreational GPS Society are proposing the holding of New Zealand’s first MEGA-EVENT. There is a poll up in the GPS.org.nz forums to indicate whether you might want to attend and you can check out all of the talk about the event there. The event is proposed as being at Easter or in October 2012 and looks likely to be in Christchurch (South Island) with an outside chance of being somewhere else in the country if the organising committee change their minds. If you are one of the many international readers of INATN and fancy a geocaching holiday in New Zealand coupled with a MEGA-EVENT then this is something you should keep an eye on. You might even like to indicate your possibly attendance on the forum poll. Of course, if you happen to be one of the many readers from geocaching related businesses (I know you’re there…I’m looking at your IP addresses right now…creepy eh?) you might like to seriously think about some sponsorship of this event – I know the NZ geocaching community would be VERY thankful (wink wink nudge nudge). As Groundspeak and Geocaching.com have grown, the demands on our production network infrastructure have increased significantly. As a result, on Tuesday December 14, 2010 at 8:00 PM PST (GMT -8), we will be performing a number of major upgrades to our production network. These upgrades include a new network design as well as new hardware to help increase the performance, scalability, and security of the network. We’re estimating that the downtime may take up to 6 hours, and during that time, all Groundspeak sites and services including Geocaching.com, the Groundspeak Forums, Pocket Queries, Geocaching Mobile Applications, and other 3rd party applications that access our API will be inaccessible. While we’re giving ourselves a 6 hour window to cover anything unexpected that might come up, we’ll be doing everything possible to minimize the downtime and are confident that we’ll have the site back up much sooner. With a few relatively minor exceptions the descriptions of these units made them all seem pretty similar (okay, with the obvious exception of the Delorme having SPOT). I had a real dilemma on my hands and no way to differentiate between them. Being in little old Dunedin, New Zealand also meant that these units were not immediately on hand in any of the local retailers, so no chance of a visit and play. Plus who wants to deal with the sales staff pressuring for a sale – I just wanted info. So I turned to YouTube. The first thing you’ll find is that there is a huge range of videos on YouTube for you to watch. These range from the companies own product marketing to individual user reviews of units. I had previously viewed these videos as being dead boring but on this occasion was amazed at the information you could glean from them that wasn’t immediately clear on the product website. The best example of this is finding out that the Delorme can use the SPOT to log caches on geocaching.com when you are out of cell reception (awesome!) from the product video and not from the website. One of the criticisms I had read about the Oregon touch screens was the difficulty in seeing them with the sun out. This review was excellent in helping me judge that for myself. After reviewing all the videos and online information I actually decided that none of the units were superior to the Blackberry Bold I currently use. Yes some units probably have slightly better GPS chipsets but the GPSr doesn’t find the cache for you does it? The Blackberry always has me in the right location, so I don’t really need a better GPS reciever. It also has all my caches paperless in a fantastic little program called CacheSense, which is like having your own portable GSAK. And once I put the Blackberry in an Otterbox it’s nice and safe from the inevitable stumble. However, I am realistic and realise that one day I may no longer have the Blackberry I so love and cherish. The need to buy a high level GPSr will then exist. If that time were now I would have a hard time deciding which of the above three (or four if you include the Magellan Explorist GC) I would choose. All awesome units with fantastic functionality. The Delorme does have the SPOT, which my previously mentioned long-suffering wife would love me to have for peace of mind, but the Scottish blood in me doesn’t like the yearly subscription needed for it. Logging caches from the wild does sound cool though. The Magellan units also looked great and I liked the GC unit fully dedicated to geocaching. It will be interesting to see just how much the already great functionality increases between Magellan and gc.com following recent changes in the cache listing environment. I can only assume it will get better and better. These units often seem to be slightly less expensive versions of the Garmin units (eg the Explorist 710 seems almost identical to the Oregon 550t but slightly cheaper on average).